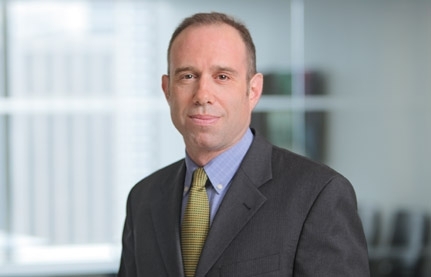 Home > Lawyers > Bright, Jonathan K.
Jonathan Bright is a commercial real estate lawyer with broad experience and a strong emphasis on commercial leasing. His practice includes both owner and tenant representation in office and retail leasing, including shopping center leasing and long-term development ground leasing. Jon represents major New York City office building owners and developers and shopping center owners and developers throughout the U.S. His tenant representation includes office and retail leasing on behalf of national companies, banks, and hedge funds. Jon also represents sellers and purchasers of commercial properties in New York City and throughout the U.S., as well as national real estate brokerage companies in various brokerage matters. Prior to joining Wilk Auslander in 2006, Jon was a partner at the real estate firm Carb, Luria, Cook & Kufeld, LLP. Represented a national retailer in lease of over 350,000 square feet for the company’s New York headquarters. Represented a prominent building owner in a 75,000-square-foot office lease in Midtown Manhattan. Represented a shopping center owner in a 75,000-square-foot lease with national retailer. Represented an investment firm in sublease dispositions totaling over 100,000 square feet. Represented a subtenant in a multi-tiered sublease of 47,000 square feet in Midtown Manhattan. Represented an international corporation in a multi-million-dollar sale of industrial park buildings. Represents a regional supermarket in shopping center leases. Represents an owner in a leasing program of 170,000-square-foot retail, office, and residential center. Represents a prominent fitness club chain in a national leasing program.